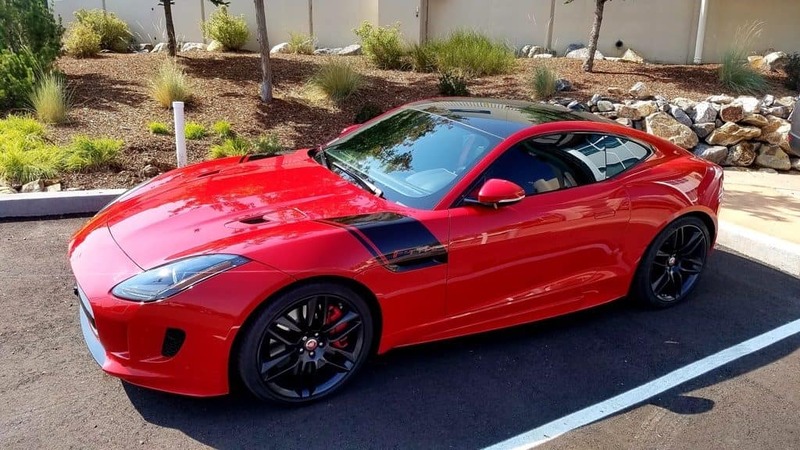 Gently pre-owned and filled with innovative features and amazing performance perfectly describes this 2016 Jaguar F-TYPE R AWD. This sporty coupe has just over 10,000 miles on it and has been very well cared for during its previous lease term. In fact, it has always been serviced right here at Jaguar Colorado Springs so we can promise you that it has been taken care of. This performance coupe has a 5.0L VW DOHC Supercharged engine which gets an impressive estimated 15 mpg city and 23 mpg highway. You will enjoy so many features on this beautiful F-TYPE including premium leather seating, power liftgate, adaptive front lighting with cornering lamps, premium Meridian Audio System, and Blind Spot Monitor. Plus, this Jaguar F-TYPE is still under manufacturer’s warranty. Visit Jaguar Colorado Springs today to find out more about this gently pre-owned 2016 Jaguar F-TYPE. You won’t be sorry when you drive home in this luxury coupe at a super price.